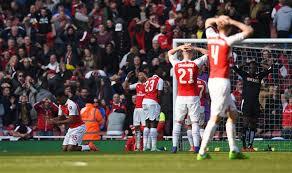 Emery defends Ozil omission as Arsenal lose to West Ham – Royal Times of Nigeria. Arsenal manager Unai Emery indicated Mesut Ozil did not deserve a place in his squad after he missed a London derby loss to West Ham on Saturday. Ozil, Arsenal’s highest-paid player, has returned to full training over the last week following a knee injury. But the former Germany international did not even make it onto the bench at the London Stadium where Declan Rice’s first senior goal gave the Hammers a 1-0 win. Ozil has missed games for a variety of reasons this season and Saturday saw Emery keep faith with the side that beat Fulham in their previous Premier League match. 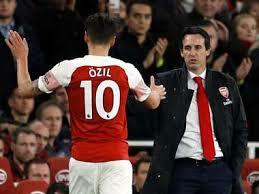 Emery was in defiant mood when asked why Ozil had not featured at all on Saturday, saying he decided the idea of the players that he thinks are the best for this match, adding that the team wins with Ozil and lose with him. He noted that it is not one player that decides whether the team wins or loses.